Predictably, as with the Influenza A H1N1 outbreak, the World Health Organization is taking a cavalier attitude towards MERS-CoV, or Middle East Respiratory Sindrome-related Coronavirus, which appeared in Saudi Arabia in 2012 and in five years has caused 2.027 cases and 710 deaths, a mortality rate of almost 30 per cent. With Influenza A (H1N1) in 2009/10, the response of the WHO was to sit back and inform us as the virus went through the six phases until reaching Pandemic status. By then the pharmaceutical industry had prepared billions of doses of an anti-viral medicine which made those involved a fortune (many countries bought up too much stock then destroyed it) and which was linked to neurological disorders and death in a number of cases around the world. In the last two years there have been around one thousand new laboratory-confirmed cases of MERS-CoV, a unique strain of Coronavirus (which causes the common cold) endemic in the Middle East and linked to contact with camels. However, the virus can be transmitted from human to human and has since spread to the Far East. The World Health Organization admits that there are proven human-to-human chains of transmission, admits that “the risk of individual travelers becoming infected and bringing the coronavirus back to their country could not be avoided”, yet with this highly pathogenic illness (with its 30 per cent mortality rate), the WHO does not recommend any travel restrictions. Does this make sense? If this deadly disease becomes a global pandemic, which it is threatening to do, it will kill over one third of its victims, becoming the twenty-first century’s Black Death. Can we ask if there is collusion between WHO and the Pharma Lobby? 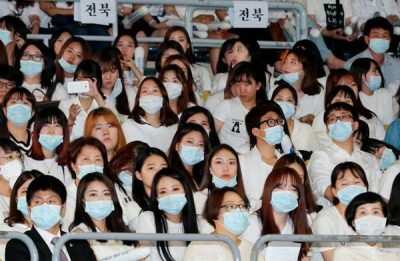 Once again we see the WHO standing back, stating that the spread of MERS-CoV to the Far East does not constitute a “public health emergency of international concern”. So we may ask, how competent is the World Health Organization in handling such outbreaks? Or can we also ask, is there any collusion between the WHO and the pharmaceutical industry in allowing diseases to reach pandemic proportions so that the pharma giants can make billions? May I make a prediction? Here it is: MERS-CoV will one of these days raise its human-to.human transmission capability until the point at which it is easily transmissible like any common cold or Influenza virus, after all it is a strain of Coronavirus. When this happens, it will break out of its Middle Eastern and Far East bastions and sweep around the world, infecting a third of the population and killing one third of these. All we have to do is to multiply the current number of infections and eaths by one million, and we get 2 billion infected and 700-750 million deaths. This disease first appeared in the Arabian Peninsula in September 2012, when it was reported as a SARI (Severe Acute Respiratory Infection). It was originally linked to SARS (Severe Acute Respiratory Syndrome), linked to civets, which broke out in the Far East in 2005 but tests revealed it was caused by a novel form of Coronavirus (the type that causes the common cold). How many cases have there been? Originally breaking out in Saudi Arabia, 2.027 laboratory-confirmed cases of MERS-CoV have been recorded, causing 710 deaths (a mortality rate of 30%) in Bahrain, Iran, Jordan, Kuwait, Lebanon, Oman, Qatar, Saudi Arabia, United Arab Emirates (UAE), and Yemen (Middle East) and Algeria, Austria, China, Egypt, France, Germany, Greece, Italy, Malaysia, Netherlands, Philippines, Republic of Korea, Thailand, Tunisia, Turkey, United Kingdom (UK), and United States of America (USA) (travel-related cases). Some cases are asymptomatic (patients do not have any symptoms). Most cases have respiratory symptoms (difficulty in breathing), fever and cough, pneumonia, sometimes diarrhea and in severe cases, respiratory and kidney failure and death. It kills 30% of those infected and is particularly dangerous for the elderly, those with suppressed immune systems (including transplant patients) or with chronic diseases such as diabetes, cancer or chronic lung disease. It is thought that the disease made a species jump from bats to camels and it is thought that humans can be infected by drinking camel milk or urine or badly cooked camel meat. It is also clear that human-to-human transmission chains have taken place through close contact. Healthcare workers have been infected by coming into close contact with patients, infected patients have passed the illness on to other patients and visitors, so there is a great need for precautions, including education in infection prevention. Do we know anything about the infection mechanism? No we do not. Neither do we understand exactly where it comes from, nor do we fully understand the transmission mechanism, nor is there a vaccination or a cure. Timothy Bancroft-Hinchey has worked as a correspondent, journalist, editor, director, project manager, executive director in TV stations and media groups printed, aired and distributed in Angola, Brazil, Cape Verde, East Timor, Guinea-Bissau, Portugal, Mozambique and São Tomé and Principe Isles; the Russian Foreign Ministry publication Dialog and the Cuban Foreign Ministry Official Publications. He has spent the last two decades in humanitarian projects, connecting communities, working to document and catalog disappearing languages, cultures, traditions, working to network with the LGBT communities. A Vegan, he is also a Media Partner of Humane Society International, fighting for animal rights. He is Director and Chief Editor of the Portuguese version of Pravda.Ru.